Fickert “Fick” Newberg, 85, devoted husband, amazing father of five girls, and loving “Papa” and “Poppy” entered God’s loving arms on February 4, 2017 at the Northwest Veterans Home in Bossier City, LA. He fought a long battle with Diabetes, Alzheimer’s and multiple Strokes. He was a Saint for raising five rambunctious girls within a 10- year span from the oldest to youngest. Although he was unsuccessful producing a son, he settled on the idea that at least 5 was good number for a girls’ basketball team. He never missed one of his daughters’ basketball, cheering or dance-line functions in middle, high school or college. He was supportive, passionate, competitive, resilient, and nothing made him more proud than his girls. Fick was born in Marksville, LA. on April 24, 1931 to Charles and Mildred Lemoine Newberg. Born the oldest of two children, he was very close to his baby brother, Ishmael “Pat”. He was educated at Marksville High School and Southwestern University Institute (University of Louisiana at Lafayette). In high school, he was a well-rounded athlete playing baseball, basketball and tennis where he was All-District in Singles and Doubles. His passion was football, his favorite sport; however, Marksville High did not have a program when he attended. After college, he joined the United States Air Force and proudly served his country during the Korean conflict. Upon receiving his honorable discharge, he started a career with Gulf Oil Corporation which later became Chevron and retired 35 years later as a Territory Sales Manager. During his tenure he was awarded the “Traditions of Service” trophy, signifying he was one of the top Managers in the company. He married the love of his life, Patricia “Pat” Austin from New Orleans. He wooed her away prior to her freshman year at LSU. They married on July 25, 1954 and celebrated 62 wonderful years of marriage. Mr. Newberg was an active member of St. Jude’s Catholic Church, where he was a member of the Greeters Committee. He and Pat were one of the oldest married couples in the church. He also belonged to the Shreveport Chamber of Commerce, Monroe Optimist Club and Bossier Exchange Club where he was on the Board of Directors. One of his many passions later in life was becoming a member of the American Contract Bridge League and achieving the Bronze Life Master title. His other interests included spending time with his family and friends, traveling, yardwork, surfing the Internet and cheering on the LSU tigers. Fick could always tell you the newest and latest LSU recruits. Preceding Mr. Newberg in death are his parents, Charles and Mildred Newberg; his brother, Ishmael “Pat” Newberg; and his first daughter, Katherine Ann Newberg. Left to cherish his memory are: his wonderful wife, Patricia “Pat” Newberg; his five daughters and their spouses, Donna and Dr. Donald Brian of Shreveport, LA., Debbie and Frank Pilcher of West Monroe, LA., Marilyn and Dr. Boyd Padgett of Alexandria, LA., Sharon and Raymond Regard of Shreveport, LA., and Pamela Newberg and Edmond Raesz of McKinney, TX. Also, he was immensely proud of his 10 grandchildren and 6 great-grandchildren. Honoring Fick as pallbearers are his grandsons and great-grandsons- Ryan Booth, Matthew Padgett, Austin Pilcher, Taylor Pilcher, Peyton Miller, Jordan Rainer, and Connor Regard. The Newberg family would like to express their deepest appreciation to their many family members, friends, priests, physicians, nurses and caregivers who showed their compassionate care with continuous love, prayers and support for Fick and his family throughout his lengthy illness. The family extends a special thanks to the Northwest Veterans Home of Bossier City, LA. Visitation will be held from 10:00 AM-11:00 AM on Wednesday, February 8, 2017 at St. Jude’s Catholic Church, 4700 Palmetto Road Benton, LA. A Mass of Christian Burial celebrating Fick’s life will follow visitation. Officiating will be Father Karl Daigle. Interment will follow at Hill Crest Memorial Funeral Home, 601 Highway 80 Haughton, LA. 71037. 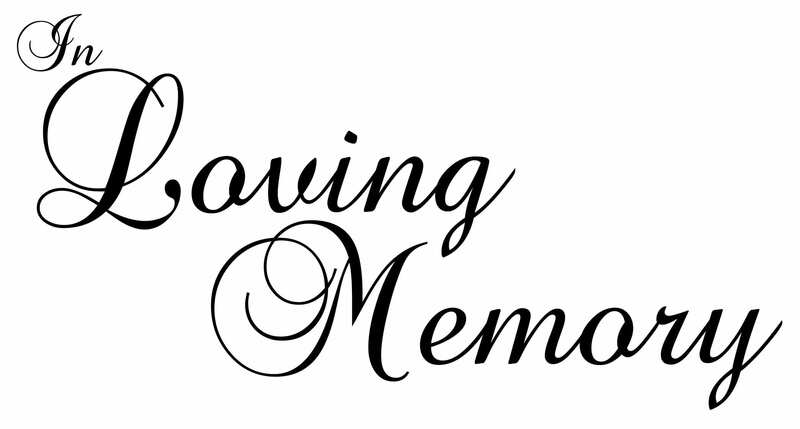 In lieu of flowers, memorials may be made to the Alzheimer’s Foundation of America, St. Jude’s Catholic Church or to the charity of the donor’s choice.